The new year is right around the corner, and as usual in the digital marketing world, in order to keep up you have to stay ahead of the curve. With that in mind, here are the marketing trends you need to keep at the forefront of your planning and strategy for next year. Voice search. Smart speakers like the Amazon Echo and voice assistants like Apple's Siri are transforming the way people seek out and receive information. The smart speaker market has nearly tripled in the past year, so it's clear that this is the up-and-coming frontier for marketers. It remains to be seen how monetization will figure into this new audio-driven landscape, whether through third parties or the device manufacturers themselves, but you can probably expect voice advertising to feature heavily, much like it already does with podcasts and radio broadcasts. Live video. For the past couple of years there's been a lot of marketing buzz around video, but this year we've seen a huge shift from static posts and prerecorded clips to live feeds that viewers can stream in real time. With all the major social networks jumping on board, live video has exploded, and is set to be a $70 billion industry within the next three years. If you're just now getting the hang of video in general, it's time to kick it up a notch and start live streaming for your audience in 2019. Machine learning. Just a few short years ago, there was an overwhelming amount of negative public perception about artificial intelligence. As the positive aspects of AI have quelled those initial fears, we're now heading into a phase where machine learning is not only ubiquitous, it's expected. As 2019 progresses, consumers will expect to receive quality customer service from chatbots, as well as ads that are tailored to their specific interests and buying patterns. Marketers need to build these machine learning aspects into their digital strategies to connect with visitors on a personal level. One-size-fits-all simply won't cut it anymore. Community collaboration. The consumer of tomorrow is not looking to sit back and have things sold to them; they're looking for brands that they can interact with in a meaningful way. Whether it's micro-moments where you can jump in and support a potential customer with the exact right information at the right instant, or user-generated content where your customers themselves drive the marketing message through the community, this back-and-forth partnership is going to be an essential element of any smart marketing strategy in the coming year. 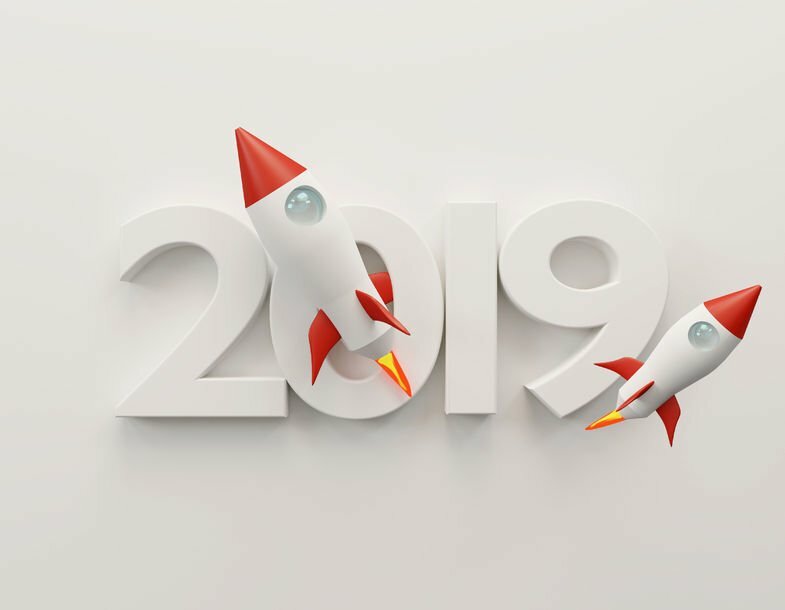 2019 is going to be a very exciting year for marketers - which rising trend are you looking forward to the most? Cogo Interactive is an award-winning digital marketing agency specializing in online marketing strategy, web design, SEO and social media marketing. We work with clients in Virginia, Maryland, Washington, DC and nationally.